Built around the OpenPGP RFC 2440 standard, you can communicate securely with the largest installed base of encryption users in the world. Our products can be easily used by anyone - no technical knowledge is required. They provide high security with an unmatched level of simplicity at a low cost. Easy to use does not mean insecure or weak - the underlying complexity of our products is hidden. In fact keys generated using our software are stronger than the protection products from major PKI vendors! Why use our Open PGP products? You want PGP compatibility with ease of use at a fraction of the cost. Our PGP compatible products are implemented with minimal effort - they can be rapidly deployed and configured in any Windows environment. Your information and communications can be secured in less than 5 minutes regardless of the applications you or your recipients use. Your recipients don't have to buy ArticSoft products or your email client to make it work. Our PGP compatible products are far superior to password based systems for sending and receiving information. Not only can you digitally sign information so the recipient knows it has come from you and has not been tampered with but the key required to decrypt information never leaves your PC. Password based systems on the other hand are easy to break because once a hacker has got hold of your password protected file they can easily use dictionary and brute force attacks to gain access to the information. In addition, to protect you we do not integrate with the underlying applications, so you can send information securely regardless of the application you or your recipients are using and you are never exposed to bugs in your email or IM application - see MS Outlook Digital Signatures easily forged. A double win. Our free Reader software means the people you want to communicate with don't have to pay to get security - just like the postal service. And they get full protection for the files you send - they can be certain its from you and not an imposter sending an encrypted virus or worm. Who is using ArticSoft PGP software? Healthcare practitioners, banks, governments, professionals, businesses and individuals. Our customers have to be sure of their privacy. They have to comply fully with the law. They want their customers to be sure information only came from them and could not have been hacked or altered. They also may want to be able to prove this. Sample list of customers using ArticSoft PGP compatible file and email encryption software. ArticSoft is not just another 'me too'security company. We have over 30 years security experience. We provide innovative products that help, not prevent your business. Interoperability - we don't tie you into using proprietary mechanisms. This means you can switch to other vendors products if you so wish. 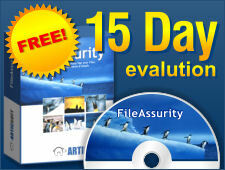 You can use your existing keys and encrypted files without any changes. Our products are based on Open standards and work with other OpenPGP compatible software - e.g. PGP and GnuPGP. Scalability - proven scalable support infrastructure (industry standard databases capable of supporting thouands of users with high volume performance) and the support of group keys for easy user management. Customer Service - we are proud of our customer service - our customers seem to think we are good at it too - see our customer comments. So what does ArticSoft offer you over the competition? The majority of products on the market are not PKI enabled, but PKI offers huge security advantages over passwords - see Passwords vs PKI. Simplicity of use. There is no complicated setup or trying to decide between lots of different algorithms or coping with Trust Managment. We use the strongest US Government approved algorithm by default and PKI trust. Price - where else can you get products that costs so little yet provide the same level of simplicity, functionality and security? We are less than a quarter of the price of PGP over a 3 year period - see our PGP comparison table. No integration with email or other applications so no being exposed to vulnerabilities in other applications (when isn't there a fix for outlook, explorer, etc.). We just call the MAPI interface to pass the already encrypted file over. If you send a file to the wrong person it doesn't matter - unlike email and gateway server products that guarantee everyone on the email list can read it! Free key generation and key management. PKZIP (for example) forces you to buy your certificate on top and has no key management system. Instant trusted authorities - you don't have to import root certificates into the system (like you have to with PGP). Our system already has these and can therefore verify certificates and keys automatically if they are signed by a Certificate Authority. Compatibility - you can interoperate with either the PKI or OpenPGP (PGP) world or just use the system internally. What other system gives you this kind of flexibility? Works with any email system the sender or receiver is using - they do not have to be the same. No more worries about whether it will work with the latest release by finding you can't reply to them. Secure file deletion to US Gov DOD standards. An added benefit to an already strong product. Free reader software - not insecure password protected exe files! Your recipients can get their mail fully secured for ZERO cost. State of the art, security functionality without the cost and pain of PKI. Better functionality, better capability, lower cost than our competitors. Each time and every time.